Balakot has been a game-changer. The country crossed the lakshman rekha of nuclear blackmail by Pakistan. 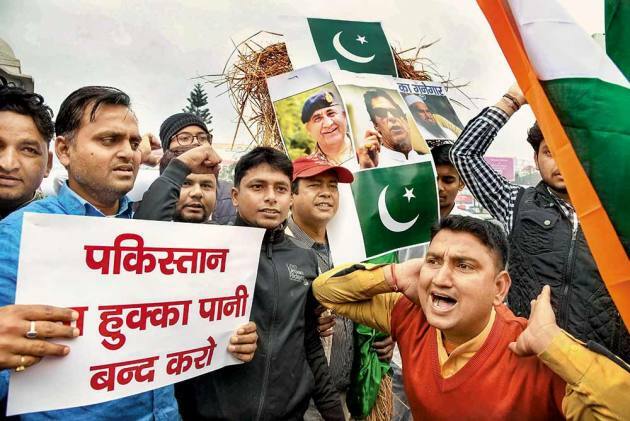 In fact, Afghanistan’s former Chief of Intelligence, Rahmatullah Nabil, is reported to have said that “India should have done this (Balakot strikes) much earlier”. There was adequate justification for taking action in the wake of Jaish-e-Mohammad’s attack on the parliament in December 2001. The government, in fact, mobilised forces for ‘Operation Parakram’, but it fizzled out under international pressure and the forces were sent back to barracks after ten months. The 26/11 Mumbai attacks offered another opportunity in 2008 when Lashkar-e-Taiba’s foot soldiers killed 175 people in Mumbai. The country, however, tolerated what was an intolerable onslaught on its sovereignty. It was left to the present government to say, ‘enough is enough’. There are enough indications that terrorist strikes in future would not go unpunished. That is how it should be. Countries which are averse to taking risks in upholding their territorial integrity end up in the garbage of history. There is, however, a strange dichotomy in government’s resolve to deal with the challenge of terrorism. We have shown courage and initiative in meeting the threat from across the borders, western as well as eastern. But we have allowed snakes to roam free in the hinterland and not cared to strengthen our internal security architecture. China’s President, Xi Jinping, while addressing the Central Party School, recently observed that the country should be “on guard against black swans and keep watchful for gray rhinos” (jingti hei tian’e, fangfan hui xiniu). Black swans referred to the unforeseen incidents while the gray rhinos meant known risks that are ignored. India faces similar threats from black sheep (people talking the language of our adversaries and justifying their actions) and dark cobras (the sleeper cells and terror modules within the country). There are a number of separatist and secessionist organisations within the country drawing inspiration, ideological guidance and financial and other support from terrorist formations across the borders. According to an assessment, India is the third most affected country (after Iraq and Afghanistan) by terrorism and forty-three terror outfits are active in the country. There is hardly any state in the country which is immune from the threat posed by some disruptive organisation or the other. Terrorists of certain hues, it must be emphasised, are opposed to the very idea of India. They do not have a grievance. They just want to destroy India politically, economically and culturally. You cannot negotiate with them. Hafiz Mohammad Saeed, the Lashkar-e-Taiba chief, is on record as having said that their “jehad is not about Kashmir only” and that he “will not rest until the whole of India is dissolved into Pakistan”. How do we deal with this threat? Three things are essential: a well-defined policy, a stringent law, and a strong internal security apparatus. Unfortunately, we have neglected all three areas. We have been dealing with the threat of terrorism for more than fifty years and yet not cared to define our anti-terror policy. The response of successive governments has varied as per their own assessment of the threat. This must end and we must codify our policy. It must be clearly laid down that there shall be no compromise with terrorism, that the threat would be effectively met with all the force at our command, and that whatever sacrifices have to be made in the process will be made. A clear enunciation of policy would ensure that there is no humiliating surrender of the kind we witnessed at Kandhar in the wake of hijacking of IC-814. What about our anti-terror laws? To start with, we had Terrorist and Disruptive Activities Act (TADA), 1987. That was repealed and substituted by a weaker Prevention of Terrorism Act (POTA), 2002. In due course, that was also substituted by an even feebler Unlawful Activities (Prevention) Act (UAPA); it was actually a 1967 legislation which was amended in 2008 to incorporate terrorist offences. A government which cannot call terror as terror and prefers to categorise that as an ‘unlawful act’ can hardly be expected to go hammer and tongs against the menace. Terror threats are, in fact, getting magnified but our responses, thanks to political considerations, are getting milder. Getting votes has unfortunately become more important in the country than safeguarding the lives of common man. The internal security apparatus remains as fragile as it was nearly five years ago. Whatever improvement has taken place has been purely cosmetic in nature. Police manpower has been augmented. There has been some improvement in infrastructure. However, there has been no improvement in grassroots policing which continues to be in shambles. States are apathetic. The Centre is indifferent. The Supreme Court’s directions to reorganise and restructure the police have not been implemented in letter and spirit. Our leaders forget that the first responder to any terrorist crime is the local police station. And police stations are in a pathetic state across the country. Quick Response Teams at the state level or Central Armed Police Forces and the NSG come much later. Intelligence operations have been rather non-aggressive. We are repeatedly told that our capacity to launch covert operations across the borders was dismantled by Prime Minister I.K. Gujral (1997-1998). But what did our policy makers do during the last twenty years? There was enough time to develop those capabilities all over again. Masood Azhar, head of the Jaish-e-Mohammad (JeM), may have escaped being designated as a ‘global terrorist’, but that should not bother us too much. What should really bother us is our failure to account for leaders of outfits perpetrating violence in the country in a big way brazenly. A National Counter-Terrorism Centre was proposed in the wake of 26/11 Mumbai attacks to coordinate the anti-terrorism efforts of the Union and the states. It was modelled on the American institution of the same name. The states had serious reservations on its proposed mandate. Their legitimate objections could have been met and the NCTC set up. However, the proposal seems to have been buried. At the state level, intelligence organisations have become highly politicised. They are catering, most of the time, to the requirements of the political leadership. No wonder, states are more often than not, caught off guard and are not able to prevent major law and order incidents. Coastal security continues to be a chink in armour. A comprehensive plan with a three-tier security was drawn up. The Indian Navy and the Coast Guard components are broadly in position, but the third tier of marine police is still struggling to take shape. A National Maritime Authority is also yet to be set up. It is high time that we define our internal security doctrine and set our house in order. A number of drafts were prepared from time to time, but never finalised. Our success in international relations and prestige abroad would ultimately be determined by our internal strength. Trans-border operations may have more optic value, but in-house reforms, even if difficult to implement, would provide a stronger shield to our internal security and better protection to the citizens against threats of terror. Next Story : India's Chanakyas | Who Does Ashok Gehlot Turn To For Advice? We need to transform ruler’s police into people’s police.